If you’re itching to expose your family to new perspectives, this is the time to do it. Three programs happening this week are all about seeing things a little differently. Dia:Beacon, the modern art museum, is always a fun space to explore with kids. It’s got ample galleries to roam, bold, often giant works of art to spark the imagination and conversation, delicious and healthy options in the café, and fun stuff in the bookstore. It’s a great go-to option for getting out with kids in the cold winter months. And this Saturday, January 10th, is Dia:Beacon’s quarterly Community Free Day, where Hudson Valley residents enter at no charge (bring a driver’s license or proof of address). In addition to the regular amusements, there will be special programs all day designed to engage visitors with the artwork in fun ways. 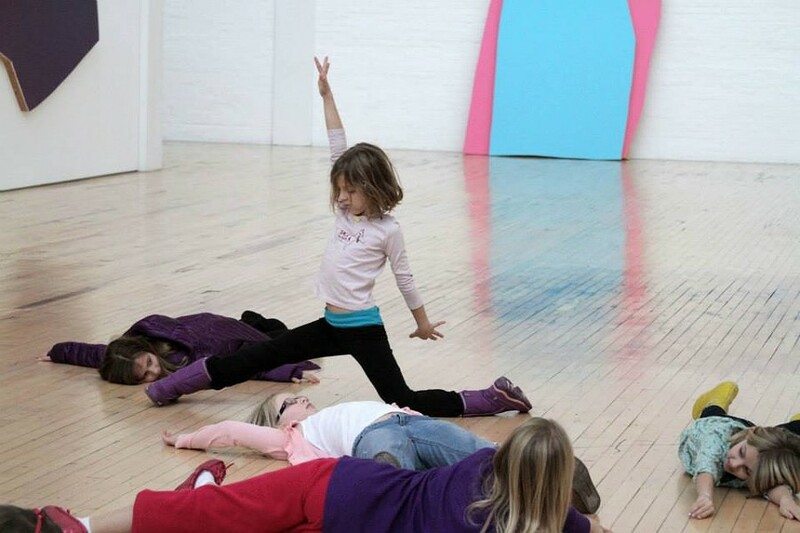 11:30a is the family tour, Imaginary Alphabets and Intentional Accidents, where multidisciplinary artist Jean-Marc Superville-Sovak will lead playful and interactive exercises around selected works by some of the giants of contemporary sculpture and art currently on exhibit. At 1:30p there’s the all-ages presentation of Sound and Site, lead by artist educator, Audra Wolowiec, where participants can explore artwork with all their senses. Older children and art lovers will enjoy the lectures and gallery talks in the afternoon. Check in about the different program options when you arrive at the front desk. No pre-registration. For more information go to their website. The new Waldorf-inspired K-2 (currently, with plans to add grades each year, and as needed, up to grade 12), Primrose Hill School is offering a chance to get to know the Waldorf educational philosophy a little better. How Academics are Taught in Waldorf Schools will be presented by Kevin Kilb, 5th Grade Teacher and Lower School Chair of Hawthorne Valley Waldorf School on Wednesday, January 7th, at 6:30p at Primrose Hill’s Community Space. It's on a 9.5-acre farm across from the Dutchess County Fairgrounds in Rhinebeck. Answering some Frequently Asked Questions about how academics are introduced in traditional Waldorf education, specifically math and reading (which is introduced later in the Waldorf tradition), Kilb will talk about how a holistic educational approach fosters a lifelong love of learning. Bring your questions. While the event may be best enjoyed without the kids, Primrose Hill School prefers parents bring them rather than not come, and nursing infants are always welcome. It’s free and open to the public, and light refreshments will be served. For more information, visit their website. The Paper Bag Players are coming to Orange Hall Theater at SUNY Orange in Middletown on Sunday, January 11th, at 2p with a new show, HOT FEET. Promising to warm families with singing, dancing and laughing, the show includes such surrealist humor as dancing cookies, a runaway chicken, a talking building that refuses to be torn down, and a mixed-up family of giant tubes. HOT FEET is a fun-filled celebration of classic theatre sketches with a twist. With whimsical sing-along songs and blended paper and cardboard sets and costumes, The Paper Bag Players encourage you to try this at home. Admission: children/students $6; adults $8.25; seniors, faculty, staff, alumni $7.25; SUNY Orange students with ID admitted free. Buy tickets.